Animations seem to have been tightened up a bit. You can see / feel the difference. Dribbling has been tweaked and it feels a lot more responsive, specially playing with players like Carzola, Draxler etc. Their touches and quick turns feel more reliable. Shooting has more of a zip to it. Scored a lovely half volley with Giroud. Looks like overall pace has been slightly turned up. I myself like a slower approach, like building up play etc. But coming from Playing FIFA 14 on the PS4, the pace on PES2014 is still slower. Lets you pass the ball about in midfield while giving you that satisfaction of creating space. So in the end it’s up to the individual; if you like this new slightly faster approach or not. Passing seems to work better at times but then it has its not so good moments. It feels a bit loose, specially when making that final pass. It either goes ahead of the player or just goes past, with out the player making an effort and sticking a leg out to receive it. Physical challenges / general player collision. The games I’ve played, most of the time the players will fall to the ground from slight touches. Don’t know If Konami have activated an ‘Arjen Robben’ mode or something but players feel a lot more fragile. How is it possible that someone like Mats Hummels can outpace a player like Theo Walcott? Konami must have given some of these defenders performance enhancing drugs xD. From what I’ve seen, looks like player runs have been tuned down a bit. When you have the ball in midfield, your wingers / supporting players are less likely to make a darting run automatically. So I find myself having to use the Manual L1 pass n run function more often than usual. Not that using it is bad, as I love that feature. Just would of liked the AI to make runs in a more intelligent manner on its own. Overall Game-play has improved because of those tweaks across the board. Most people have been very pleased with the update and it’s great to see that Konami still going at it. These game play tweaks and player face refinements show the true power of Fox Engine, specially in this short span. Would not have been possible with the previous engine. 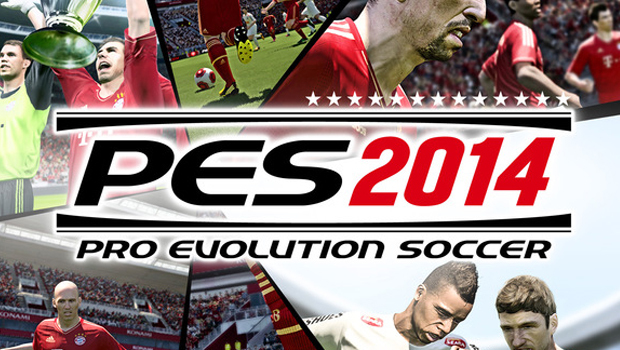 So I am definitely looking forward to how they evolve it come PES2015. All eyes will be on the next gen version [PS4]. Roll on May/June. whoah this blog is fantastic i really like studying your posts. Stay up the great work! You recognize, lots of individuals are looking round for this info, you can help them greatly. When I originally commented I appear to have clicked the -Notify me when new comments are added- checkbox and from now on every time a comment is added I get 4 emails with the exact same comment. There has to be an easy method you are able to remove me from that service? Appreciate it!